Mix everything together with a little water to form a ball. Knead till it reaches an elastic consistency. Pinch off equal sized balls and roll out into circles. 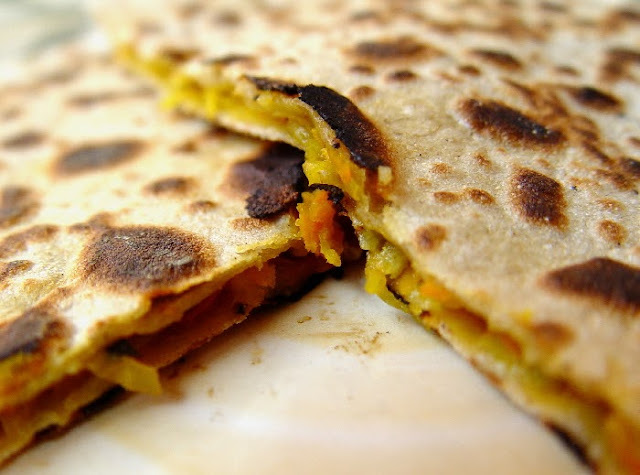 Place one rolled out chapathi on a flat surface and spread some of the stuffing mixture on it leaving a little bit of space around the edges. 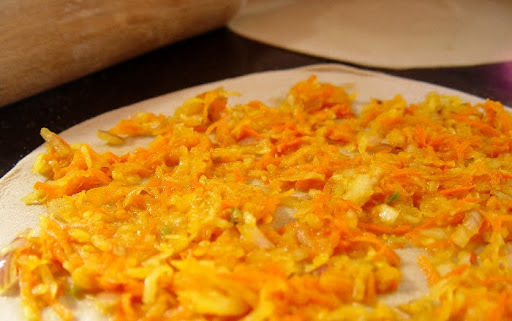 Place a second chapathi over it and seal the edges by pressing together gently. 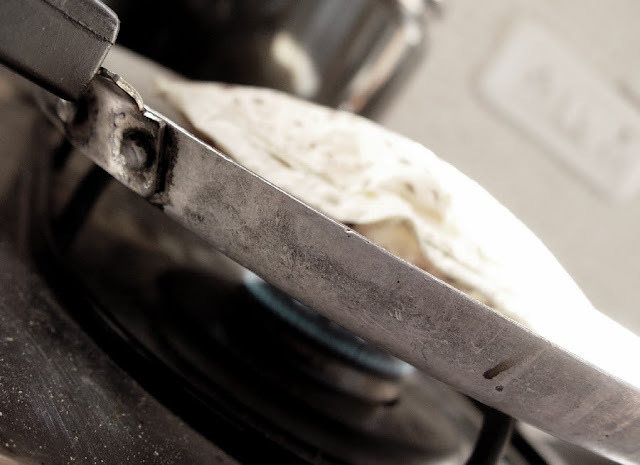 Roast both sides of the chapathi on a pan over medium flame until golden brown. Well actually, I love these at room temperate too after they've sat around for a few hours because the layers soak up the flavors and get a little soggy. So these make a great lunch box dish! 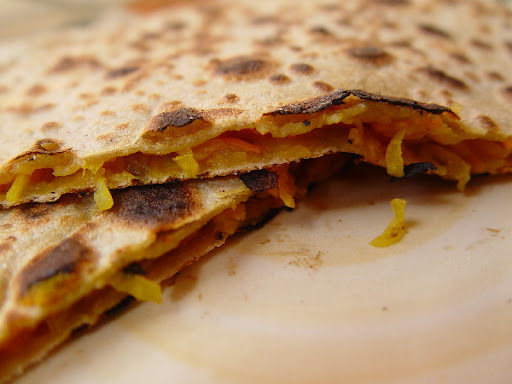 Carrots and radish are nutritious fillings for a chapathi.